As we eagerly await another weekend of football action across the globe the beautiful game has been in overdrive today off the field. Here is a quick round-up of what’s been going on. Aston Villa’s Darren Bent has been ruled out for up to four weeks with a hamstring injury that he suffered in the midweek cup victory over Norwich. The striker limped off after half an hour in his first game for six weeks. Roberto Mancini expects midfielder Yaya Toure to leave for international duty in the Africa Cup of Nations in January. The Ivory Coast international would leave after the FA Cup tie against Watford on 5th January. Mancini also said Vincent Kompany has a 2% chance of recovering in time for this weekend’s game against Newcastle United. Rafa Benitez has insisted Frank Lampard is not past his best saying his fitness and quality levels are as high as ever. The interim Chelsea manager went on to say that if the club does release Lampard it will be for other reasons. Chelsea are apparently considering a £48 million bid for Columbian superstar Radamel Falcao in January. The striker has been on fire since joining Athletico Madrid and last year scored in the clubs victorious Europa League final. El-Hadji Diouf has signed an 18-month contract at Leeds United today. The striker was signed on a short term deal but has impressed in his short spell driving the club to offer him a contact that will see him remain at the club until the end of next season. Tottenham Hotspur are close to lodging an official bid for Ajax playmaker Christian Eriksen in a view to signing him in January. When asked about possible transfers, Andre Villas Boas just said that any signings they make must subscribe to the attacking philosophy of the club. Sam Allardyce has insisted that all of West Ham’s hard work so far this season will be pointless if they don’t sign at least two players in January. He also said he wants to sign loan player Yossi Benayoun on a permanent deal from Chelsea. Liverpool and Arsenal target Klass-Jan Huntelaar is interested in a move to Inter Milan according to his agent. Legendary Arsenal Striker Ian Wright has today slammed manager Arsene Wenger calling him a liar regarding his analysis of team performances and saying that any other manager would have been sacked after so long without silverware. Milan’s Robinho will not leave the club in January, but he will leave at the end of the season and return to Santos, according to his father. Manchester United forward Federico Macheda looks destined to leave the club on loan in January, but his agent insists he doesn’t want to move to another English team and his representatives are currently in talks with ‘two or three clubs in Germany and Spain’ but no one has been named. 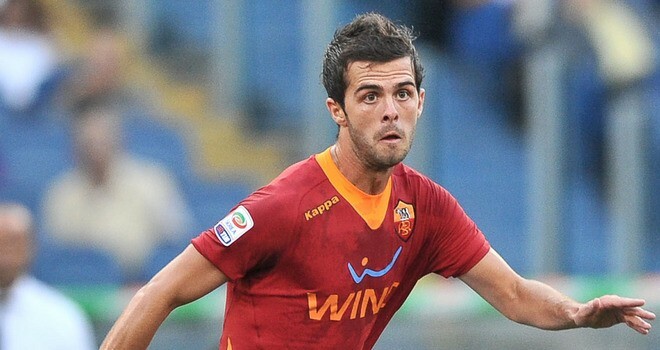 Miralem Pjanic has insisted he is happy at Roma despite being linked with clubs from all over Europe with Barcelona and Tottenham both reported to be among those interested in the talented Bosnian.